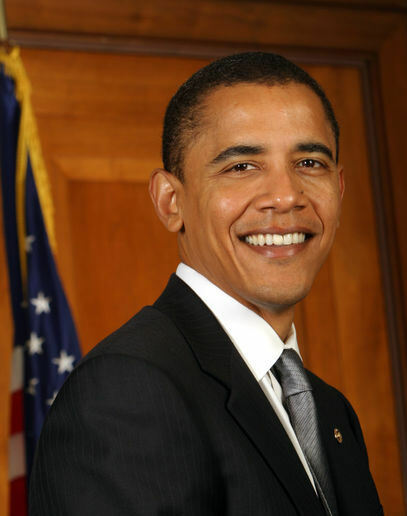 Or should I say…Barack Obama isn’t only black? He’s biracial. He’s bicultural. He’s mixed race. But why do we keep identifying him as solely black? Is it because he looks black? Is it because America isn’t ready for mixed race identities? Are we still buying into the “one drop rule”? And what the heck is a post-racial America anyway? Listen in on “Living in a Multicultural America”. NPR’s Tony Cox talks with Ronald Takaki — professor emeritus of ethnic studies at the University of California at Berkeley — and Jen Chau, founder and executive director of Swirl, a national multi-ethnic organization. The first paragraph speaks volumes. Look, if Barack Obama is not Black, then neither am I (since I am 1/4 East Indian, 1/8 Cherokee and 1/8 Creek that would me I am only 1/2 Africam American just like Obama!). But people would get very agitated if I stood up and tried to say I wasn’t Black. I have brown skin, “Black” features, and “Black people’s” hair so that’s what I am.Forget about a “post-racial” society; for a while at least. I think we need to work on respecting however people wish to identify themselves. Whenever I hear Barack Obama come out and voice that he has a problem being classified as a Black man, then I will be the first to stop thinking of and referring to him as such. Until then, I will see him just they way he wishes to be seen. Thanks, I agree with you that people tend to be defined by what they “look like.” And yet, I’ve been told that my “black people’s” hair frequently makes people think I’m at least half black or biracial. What bugs me and has bugged me throughout the campaign is that no one is talking about how Barack Obama is BIRACIAL. He’s definitely black, but he’s not ONLY black, he’s also half-white. And should he be defining himself as black or be defined by others as black? Apparently there was a Tyra Banks show where half-halfs decided they were rejecting their other half so a half-white girl decided to forget/hate her half-black side. I think this is all one big complicated issue that not enough people are talking about.